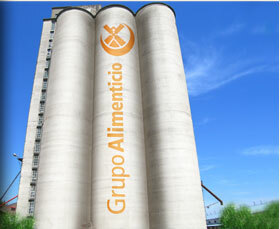 An Argentinean company working in the production of corn by-products for industries. It is made up of a staff of renown in the cereal milling market and the management is made up of 20 employees trained by Buhler from Switzerland, a world leader in milling machinery. It is here that the spirit of ancient flour tradition along with modern production technologies coexists. The quality of our raw material together with our up-to-date technology is what makes us the best corn by-product suppliers for the various companies and industries from Argentina and the Mercosur. We satisfy our client’s demands of each specific requirement, guaranteeing them to be free of pesticides and heavy metal residues. Our products are: thick hominy grits, brewery grits, snack grits, polenta grits and corn flour.